Google Gapps (or GApps Package) is an android program that you need to install with the custom roms to use all the google services on your phone, otherwise you won’t be able to use them on your phone. 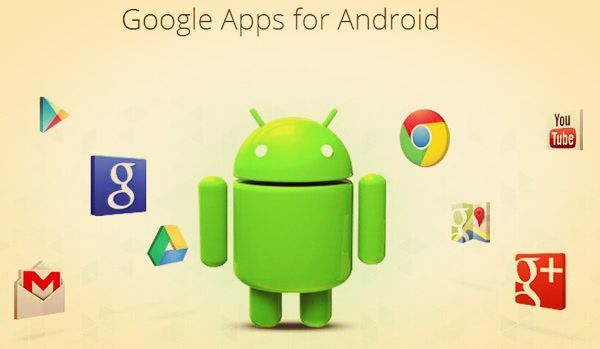 In this package you will get all the Google application like Gmail, Gtalk, Google Voice, Calendar, Google Play Store, Google Maps, Goggles, Google Contacts and all the other applications you need to correctly use your phone. Without these application you can’t enjoy all the android services on your phone. While most stock ROMs come with Google Apps pre-installed, but in custom ROMs you have to flash them manually. Suppose you ant to install some custom ROM on your android phone then you need to install these google apps package on your phone too. Please note you will have to flash the Google Apps package every time you install a new custom ROM. In case you are upgrading a ROM, you might or not not need to install the GApps. So here we are providing you the download link of all the latest custom ROMs. Which you can download on your phone and enjoy the google services. Download Gapps for CM 12 Android 5.x Lollipop ROM here. Download Gapps for Paranoid Android 4.x ROMs from HERE. Download Gapps for all Android 4.4 KitKat custom ROMs from HERE. Download Gapps for all Android 4.3 JB and CM 10.2 ROMs from HERE. Download Gapps for all Android 4.2.2 Jelly Bean based ROMs from HERE. Download Gapps for Jelly Bean Android 4.2.x / CM 10.1 from HERE. Download Gapps for Jelly Bean Android 4.1.x from HERE. Download GApps zip file for other Android versions from HERE.